June’s Berry Go Round features seductive plants, misnamed plants, mysterious plants, relic plants, fossil plants, urban plants, sentient plants, ecological inspiration and more. Happy phyto-reading! My own submissions include a review of an enjoyable and thought-provoking book -- Richard Mabey’s Weeds. 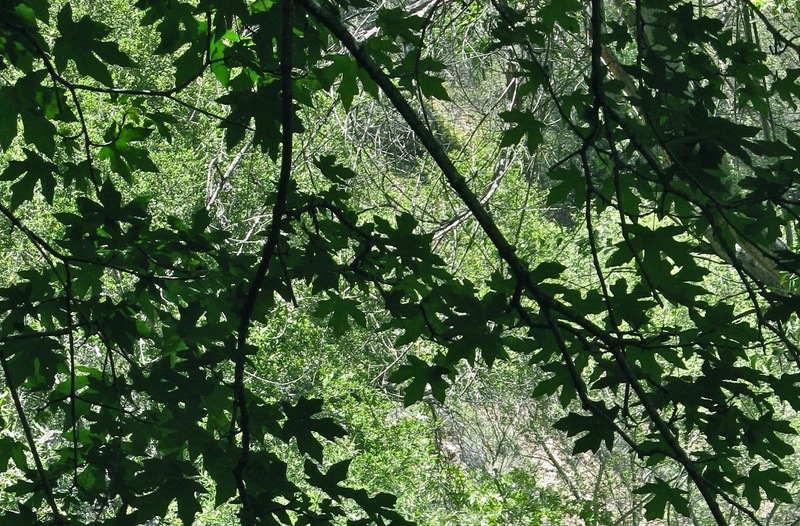 My second offering is an account of a recent stroll through a riparian zone in the rugged Coast Ranges of California, under a canopy of big leaf maples. Wingtrip tells a story that starts with being distracted by a plant while on an ornithology field trip (good job, little lily! :) This is a birder’s look at the plant world, with an interesting history of one of the area’s pioneers, Louis F. Henderson -- “grand old man of botany of the pacific northwest”. Who is your Steve Jobs? 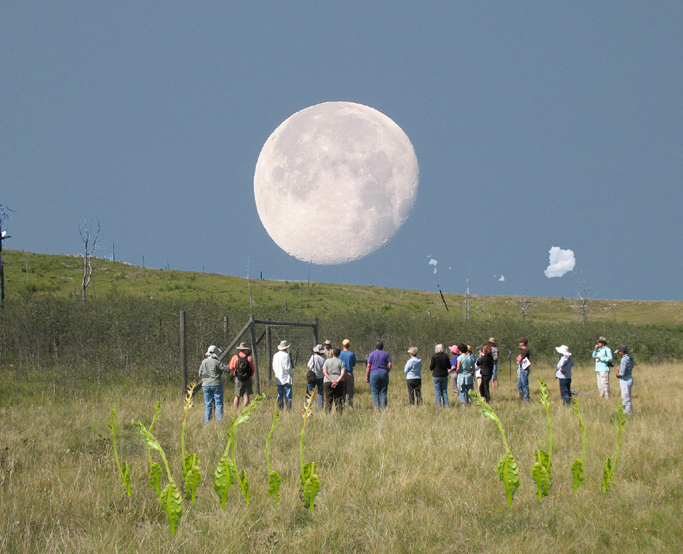 At Ian Lunt’s Ecological Research Site, he writes about ecological restoration and especially inspiration. Probably all of us have been inspired by these kinds of people ... people who “rocked your boat, flipped your lid, pushed your button, turned you on”. Might this inspire us to strive to inspire others? to pass it along? Don’t skip the comments, especially if you are wondering what became of Steve Packard. Gareth Cook of Scientific American interviews Daniel Chamovitz, author of What a Plant Knows, about similarities between plant and human biology, most notably sensory systems. Plants see, smell, taste and feel, and they have some of the same neuroreceptors that we have! So do they communicate? do they think? Check the post. Chamovitz himself contributed a post about prickly pear cactus, from his blog The Daily Plant. This is about the prickly pear’s identity crisis and why “tzabar” may not be the right thing to call your native-born neighbor after all. Helen McGranahan writes at Suite 101 about moonworts -- the under-appreciated little green goblins hiding in the shrubbery (as Herb Wagner called them). She covers their natural history, mystical powers, a bit of Botrychium terminology, and symptoms diagnostic of moonwort madness. Attack of the Moonworts! Botrychia, tumified by the light of a full moon, sneak up on unsuspecting botanists. Photos courtesy Cheryl Mayer and Ronn Koeppel. 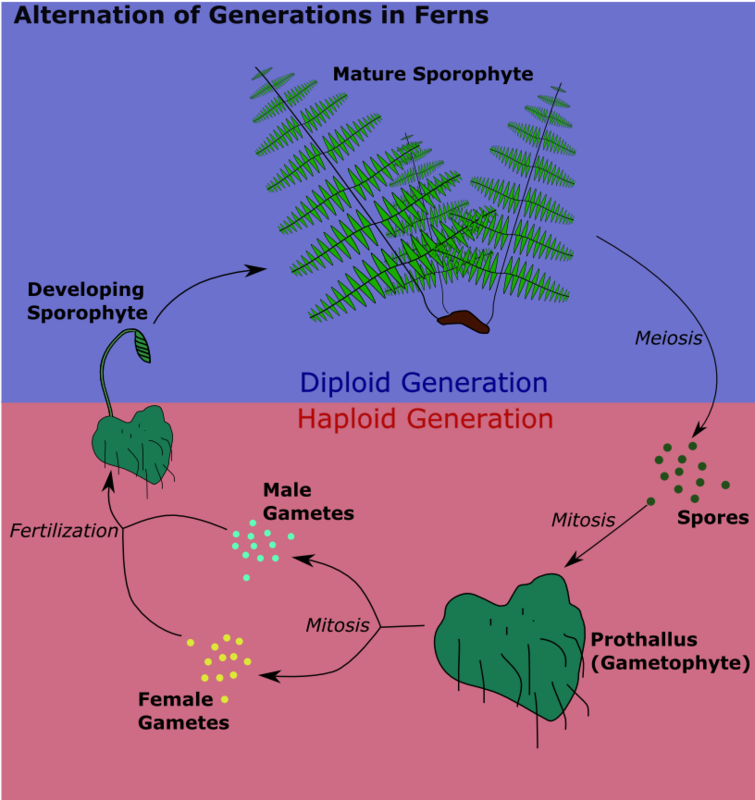 More fern allies are featured at Writing for Nature -- club mosses (Huperzia and Lycopodium), specifically the Pleistocene relicts that persist in small areas of alpine tundra habitat in Vermont. WfN gives a good bit of natural history, as well as uses of club mosses ... but really? both flash powder and condoms?! 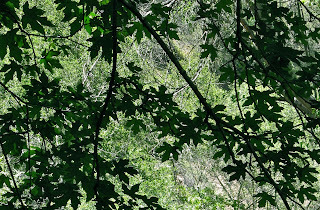 Continuing with Pleistocene relicts ... Cheryl the rock climbing botanist reports on a botanical discovery in the Black Hills, the sheathed sedge (Carex vaginata), yet another disjunct boreal species. The Black Hills are famous for these Ice Age holdouts ... well ... famous in certain circles anyway. Wollemi pine; photo by Velela. 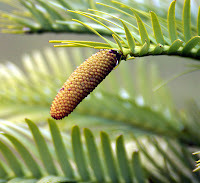 The Artful Amoeba (aka Jennifer Frazer) posted about the Wollemi Pine. Talk about discoveries ... this one was radical! How were large trees growing just 150 km from Sydney overlooked for so long? 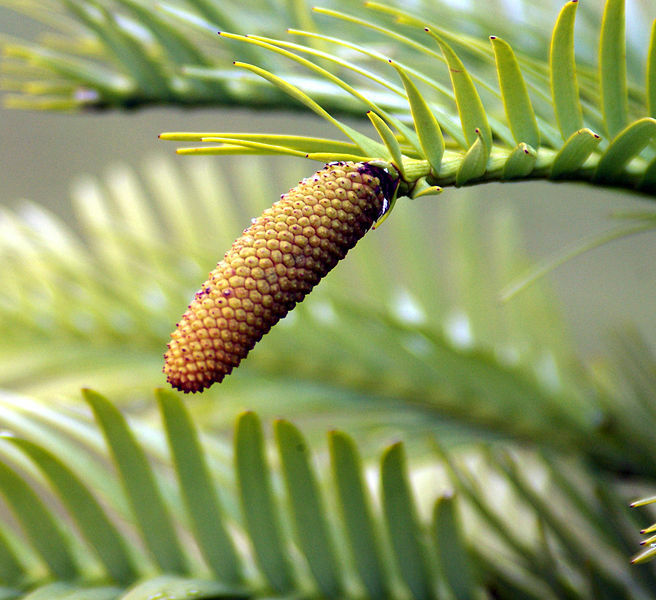 Don’t miss the story of Wollemi pines and other members of the Araucariaceae family, survivors of rifting and drifting of the supercontinent Gondwana. In Flowers in the Park at Loose and Leafy, Lucy shares a nice collection of photos showing plants’ perspectives on the habitat we share. I recommend an older post from Christopher Taylor’s Catalogue of Organisms that I just came across: When Ferns Don’t Look Like Ferns. 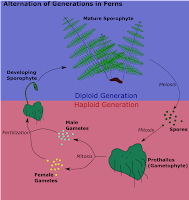 This is an interesting discussion of alternation of generations ... something I learned about as a botany student but had mostly forgotten (and I don’t remember it being particularly interesting). Here’s a chance to stoke your enthusiasm for fern gametophytes. Left: diagram by Jeffrey Finkelstein (click to view). Botany Photo of the Day last week featured devil’s matchstick (Pilophorus acicularis), a crustose lichenized fungus with spectacular spore-bearing stalks -- usually over 5 mm tall, wow! The closer we look at these symbiotic associations the more complex and fascinating we find them to be. Pilophorus lives not only with an alga but also houses cyanobacteria that fix nitrogen for it. No wonder it is such an “audacious pioneer”. From this post I linked to Ways of Enlichenment, which offers keys, floras, distribution maps and more for lichens of western North America. Finally, did you know of Alan Alda's efforts to improve and promote science education? Last night the PBS Newshour covered his competition for best explanation in response to a science question ... in the opinions of 11-year olds. Turns out they're good judges. You can watch the segment and other entertaining footage at science correspondent Miles O’Brien’s blog. Promoting science in the EU.